Home > Special Offers > Sales > We Buy Used Vehicles! Sell your vehicle for cash! 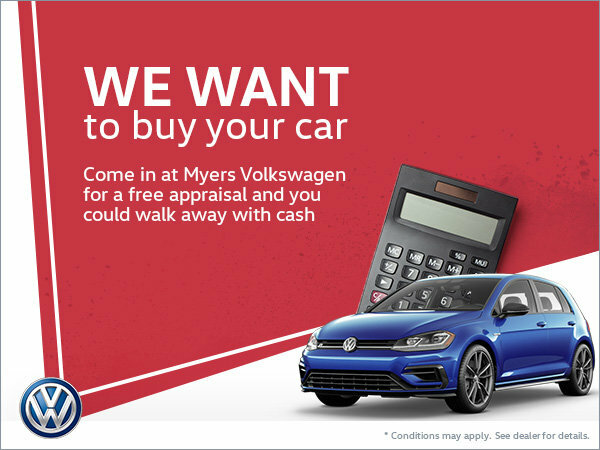 At Myers Volkswagen, we buy used vehicle! Come visit us for a free appraisal and you could walk away with cash!